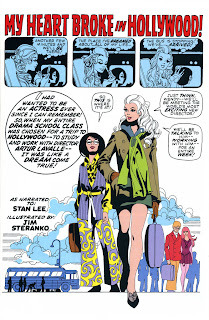 Un romance comics de Jim Steranko, scÃ©nario de Stan Lee, Ã lire ici sur The World of Kane. Posted by pierre_d on Friday, February 15th, 2008 in: comic book. Both comments and pings are currently closed.